Welcome back to our comprehensive guide on How To Be A Master Chef for beginners and food enthusiasts! In today’s posts, we’ll go over how to make the best soups and purees for you and your family to enjoy! If you’ve ever wanted to be a master chef, the time is now, so let’s get started! Before we get started, don’t miss our section on How To Master Breakfast! 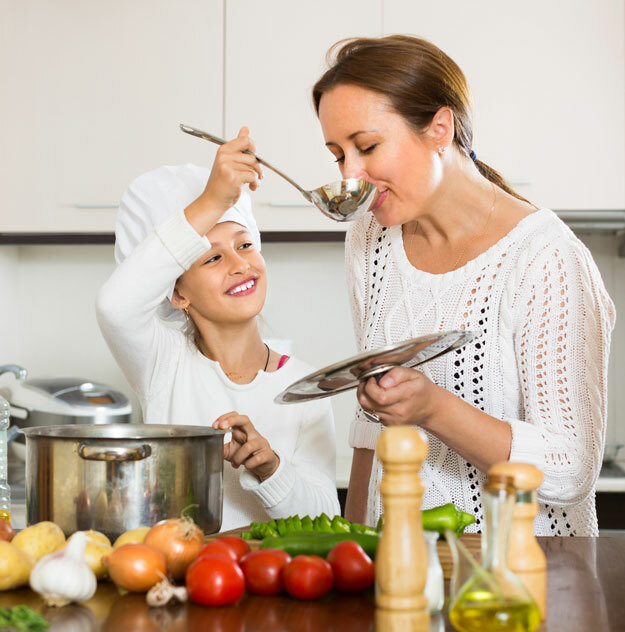 Learn how to make hearty soups, purees and bisques the entire family will enjoy! Soups are great to accompany any dish and can even be used as a dish! Clean out your crisper while making something delicious! You can make it as easy or complicated as you want to make it! This post will go over the techniques used to make soups! 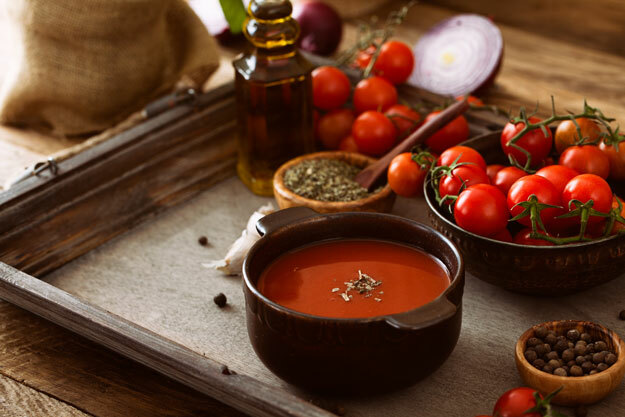 Soups used to be food for the peasants, but with all of the improvements that people have made in this food category, you will find that these soups are fit for a king! 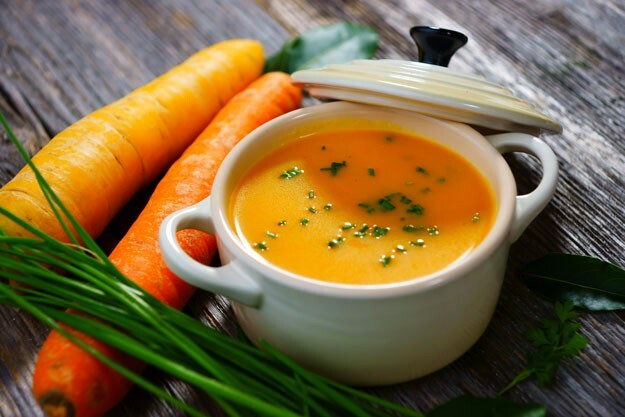 Learn everything you need to know to start making amazing homemade soups! You’re going to want to saute your veggies and meats prior to tossing them in a soup. This will ensure that they will be cooked and flavorful. This adds some complexity to your flavor and soups are really good with meat, chicken, fish, and veggies! You can even use your soup pot as the saute pan! In a small bowl, mash together a tablespoon of slightly softened butter with a tablespoon of all-purpose flour. Mix this mixture with a cup of the soup liquid and mix it up until it is fully combined with the butter and flour. Next, stir the concoction into the soup pot and cook it on medium for around 5 minutes. You will see that the soup has thickened a little. You can also blend a tablespoon of all-purpose flour, potato starch, or some other starch with 2 tablespoons of the broth. Stir it together, add another cup of broth, stir, and add the mix to the soup. Cook this on medium for between 5 and 10 minutes and you should see that the soup has thickened. Skim your soups to get rid of the fats that are found on the surface. To skim, take off the fat as you see it rise to the surface. You can even refrigerate your soup and allow the fat to form at the top. Once it is at the top of your soup, scoop it out and toss it. Using store-bought stocks makes life even easier. Put the stocks in a pot and add chopped carrots, onions, garlic, celery, and seasonings. If you’re looking for a great aroma, add some rosemary or thyme. Use a mesh strainer to get all of these ingredients out of your broth and now you have an enriched stock that tastes homemade! It’s time to test out your Master Chef skills! Melt your butter in a large soup pot over medium heat. Toss the onion in and cook for around 5 minutes. Stir while you cook it and make sure it is cooked until it is soft! Put carrots, water, stock, salt, and black pepper into the pot and cover it. Bring the concoction to a boil. Lessen the heat and allow it to simmer uncovered for 30 minutes. As the foam rises to the surface, skim it. Set up a colander over another pot and pour the soup into the colander. The liquid needs to be saved. Take the hard ingredients and put them into a blender. Put the ricotta and a cup of the liquid into the blender and puree it until it is smooth. Put the puree in the pot with the liquid and switch the heat to medium-high. As it cooks, stir it with a wooden spoon. Once it begins to boil, stop stirring, remove the pot from the heat, garnish with rosemary, and serve up some soup!